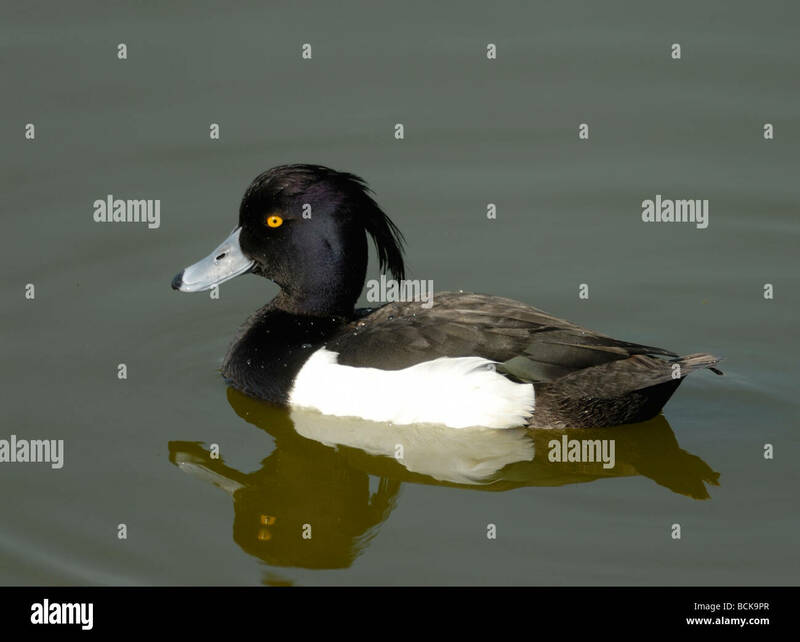 A male Tufted Duck (Aythya fuligula) swimming with its crest clearly displayed. Rye Harbour Nature Reserve. A male Tufted Duck (Aythya fuligula) swimming with its crest clearly displayed. Rye Harbour Nature Reserve. Rye, Sussex, England, UK. 11 May 2008.